In the event of a non-internal armed conflict, the State’s obligation to uphold law and order is maintained albeit challenged. This challenge also occurs when States operate outside their territory, e.g. in multinational military operations based on mandates to take on responsibility for the rule of law, and in occupation by virtue of the Occupying Power’s obligation to uphold and ensure public order. The State engages in conduct of hostilities against fighters; performs ordinary law enforcement tasks without any link to the conflict; and undertakes law enforcement operations which have a close connection to the conflict and risk surpass into warfare. The first type of operations is mainly governed by international humanitarian law, the second by human rights law, whilst the applicable legal regime for the third type of operations may shift during the course of the operation. To move between legal regimes poses significant challenges for actors on the field, and this constitutes the focus of the study. 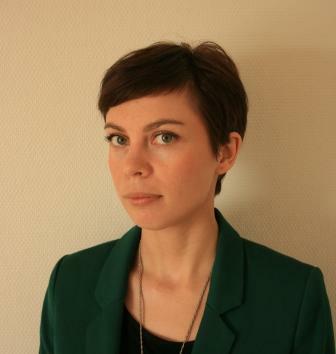 Andersson’s PhD project examines international norms governing means and methods in operations which may be expected to move between law enforcement and conduct of hostilities. This encompasses an analysis of the regulation of norm conflicts in States’ choice of means (i.e. weapons) and methods (i.e. law enforcement paradigm and conduct of hostilities paradigm), and the implications these choices may have for legality of such operations. Further, the purpose is to analyse developments in the relationship between international humanitarian law and human rights law in this area. The study is based on a legal methodology.